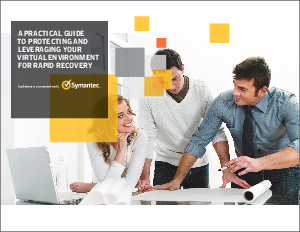 > CDW Symantec > Rapidly recover your virtual environment. Thinking about disaster recovery for a virtualized infrastructure? This e-book describes factors to consider when ensuring virtualization availability. And key criteria to look for in a solution that efficiently manages backup and recovery operations across your virtual and physical infrastructure.